Several non-governmental organizations are working on different projects to make clean drinking water available for all. 1001 Fontaines Water Kiosk is one such Project that is trying to improve the lives of people living in the rural areas of Cambodia. This Project will establish self-sustaining water kiosks, train local entrepreneurs, and support them until they become sustainable on their own. Human life cannot be imagined without drinking water. Over 71 percent of Earth’s surface is covered with water. Yet, a very small percentage of it is actually good for drinking. According to a report by World Health Organization, since 1990, 2.6 billion people have gained access to an improved drinking water source which is designed to protect against contamination. In 2015, one in ten people still drank water from unprotected sources. IOU Foundation along with its partners Universidad Azteca and Universidad Central de Nicaragua always believe in empowering people who can change the world. 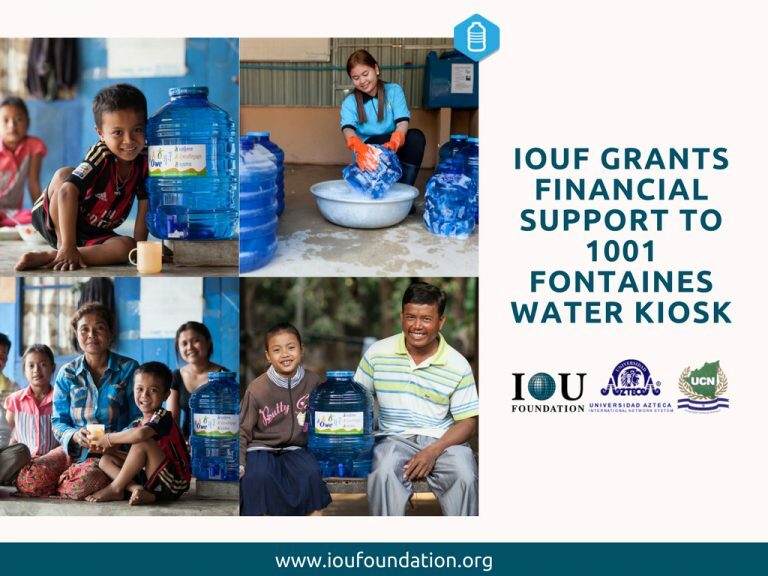 IOUF is proud to extend their financial support to 1001 Fontaines Water Kiosk.